“Who? What? When? Why?”… these are the questions your target audience is asking. When conducting a persuasive argument, verbal or written, there are some words that have more power over others. 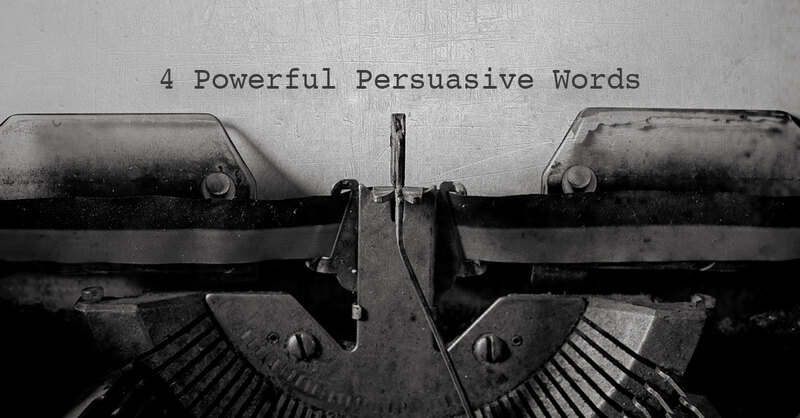 Before your next marketing campaign, proposal, or copy, read up on how to incorporate these powerful, persuasive words into your argument. What do you have to offer that beats the competition? Your customers want to know why your product/service is the best. What makes your product the best choice? Be descriptive. Has your product won awards? Mention them as well. Credible references will only strengthen your argument. Pro Tip: This word works well when paired with “because”. Once you have established the need for your product/service, address when they can start utilizing it. These days, people want products and services as fast as possible, or “now.” Amazon Prime Now is a great example of capitalization on the word “now” to entice their best customers. With access to new technology, people don’t want to wait weeks, days, or even more than an hour or two for their wants or needs to be satisfied. If possible, authentically incorporating this word into your persuasive argument will attract attention and result in action, especially for your busiest customers. This word answers the question basic question “Why?” Customers want to know why they should choose your product/service over countless alternatives. Giving customers the specific “because” allows justification of your case. Give them an airtight argument and reap the rewards: profit, a new client, a promotion, etc… Need help becoming a more persuasive person? Check out this Inc. article.